Heaven's Window is done from some of my best phot...: Heaven's Window is done from some of my best photos of glorious sunsets. Heaven's Window is done from some of my best photos of glorious sunsets. 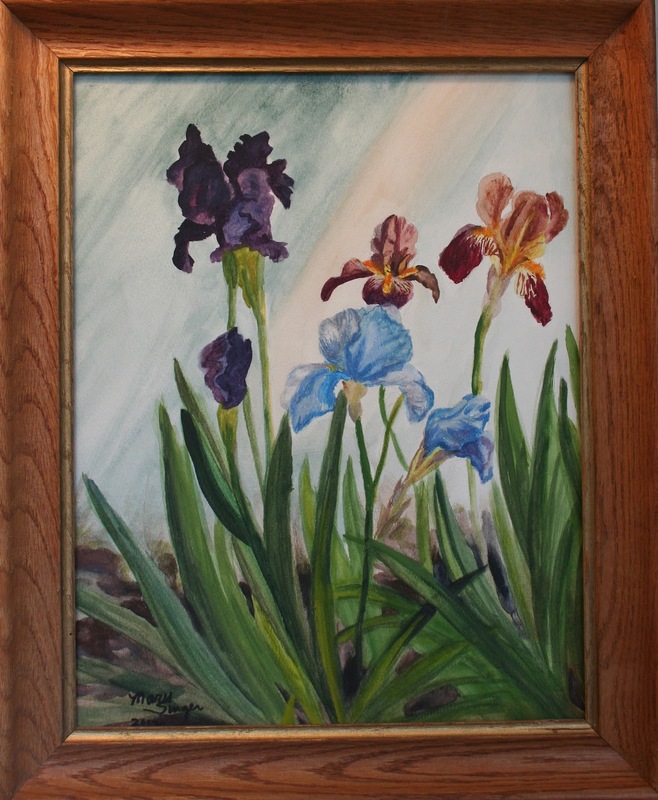 The Iris painting is sold. I am going to make a print of it though. 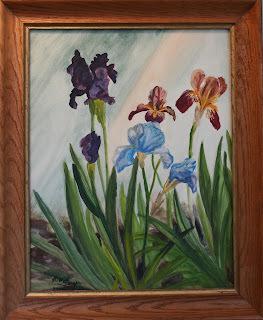 And I will do another painting of my Iris's. One of my favorite flowers. I am going to Rushford ,MN this coming Sat. to do caricatures and sell some prints. RUSH fest is a gathering of people giving glory to the Lord , music, arts and many ways to enjoy life together and spread the LOVE that comes only from Jesus. The opening for my show at the Red Horse gallery in Fountain City was very nice! Be sure to check it out throughout August thursday - Saturday noon to 5:30. 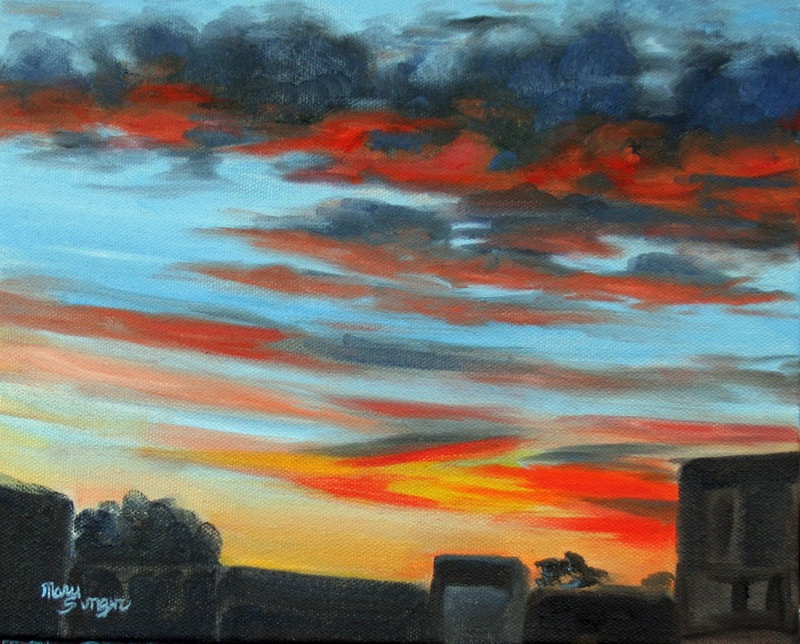 I have a show of my newest works at the Red Horse Gallery in Fountain City , WI for the month of August. It is open thurs, Fri, and sat from noon to 5:30 if you are anywhere in the vicinity. I am also getting ready for my Sunset Lions 8th Annual event to support our soldiers and their families. I am almost finished painting the portraits of five women of significance from the Winona area past history. They will be donated to the local History Center. 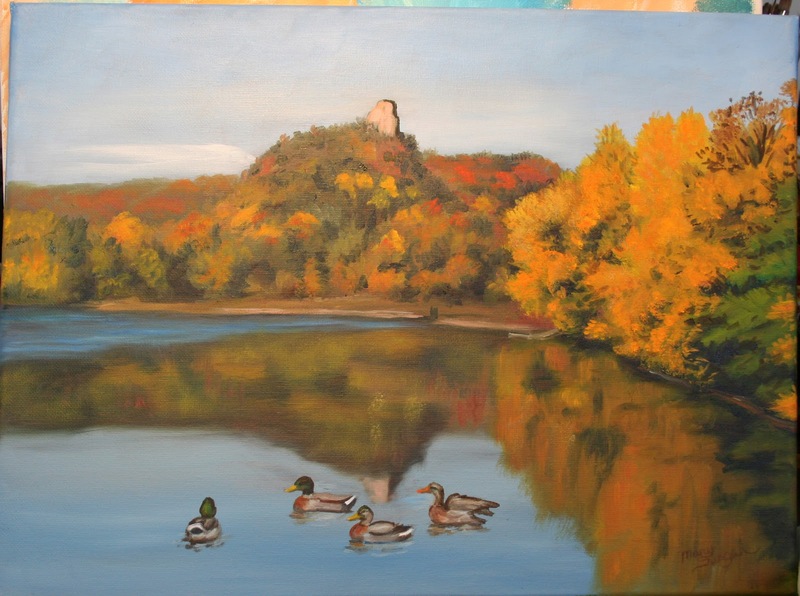 I cannot post them until after the showing in Feb of 2013. I am having fun on linked in looking at other peoples' blogs. I hope to pick up lots more followers and connect to more people. I have portrait commissions coming in and I love it. I also have lots of originals and prints of a variety of subjects as you can see here. I am preparing for a show at the Red Horse Gallery in Fountain City ,WI. . The opening will be July 28th and it will be there through August. I also have 2 originals in the annual FASEM art show at the Paul Watkins gallery , WSU in Winona. My acrylic and oil on museum wrap canvas , "Singer Valley" and a watercolor matted and framed, "Swan Watch" . It is a wonderful show with lots of variety . It is in conjunction with the Beethoven Fest . Thanks to all who are 'followers' here ! Hi everyone! Today I am inviting you all to the opening of the new Awakening coffee shop at the corner of West 5th and South Baker st. in Winona . My work will be on display there through the month of June. If you are an artist and interested in having your work there for a month come and join us and sign up . 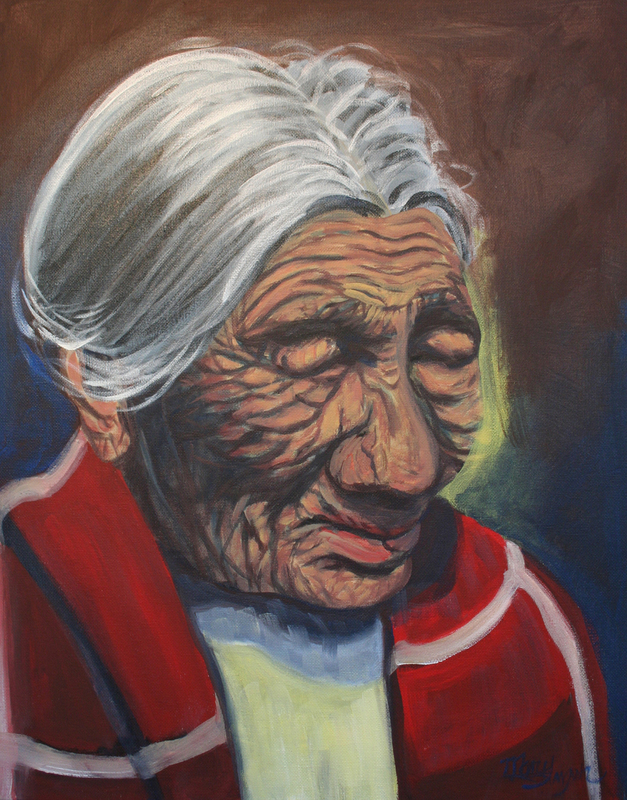 My newest portrait is an acrylic painting , I have never seen a photo with more weathered skin but he shows a gentle spirit and wise. I am updating all of you on my schedule. I will be hanging some of my most recent work at the Awakening Christian coffee house opening in June. I will post the date soon. It is a beautiful place with lots of room to show and if you are an artist interested in showing your work there for a month just let me know or contact Al Rothering of Awakening. I also will be teaching cartooning at the Winona Senior center this month, 2 one hour sessions. Lots going on ! 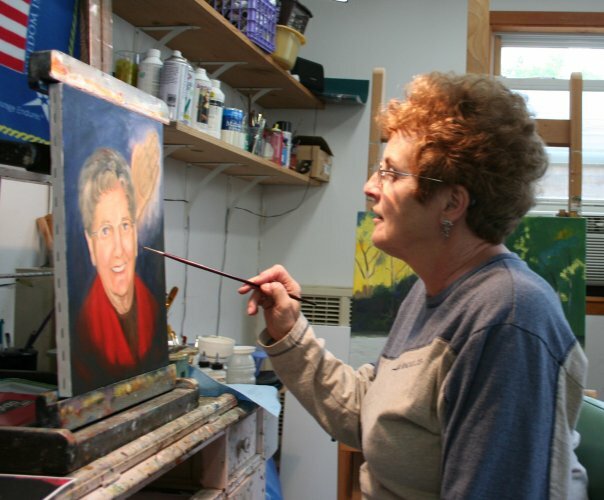 And I am hard at work on the portraits of the 5 significant ladies from the past n the Winona area. Stay posted for updates. This week I am preparing for the Bluff Country Studio Art Tour that is the last weekend of this month. I will have all my work set up here at my place. Singer Art Studio, 125 North Baker St., Winona ,MN . I will have a special on small prints, buy one, get one. The tour is well worth taking in . Lots of great artwork a well as unique practical items. Check it out at bluffcountrystudioarttour.com. This is Easter week and I am giving thanks and praise for my work which would not exist without the Lord ans His sacrifice for us! All good things are a result of God's love for us. His sacrifice is so BIG it is beyond our comprehension. May God bless and keep each of you .
" Trempeleau Wildlife Refuge" is one of the first of my new watercolors. 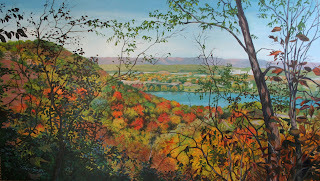 This is a gorgeous area on the Wisconsin side of the river just South of us. 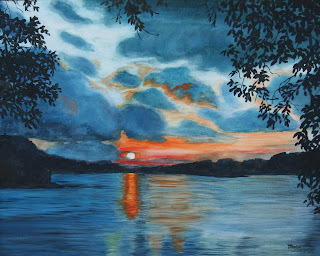 Here is the new version of "Sunset on West Lake Winona" . The first one is oil on canvas and was stolen from the first place I displayed it . This one is a watercolor 20 x 30 matted and framed to app. 26 x 36. I will have prints available of it. 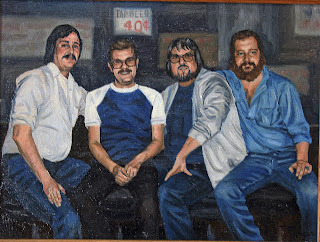 The original will be presented at Ed's Art bar in Winona this weekend. 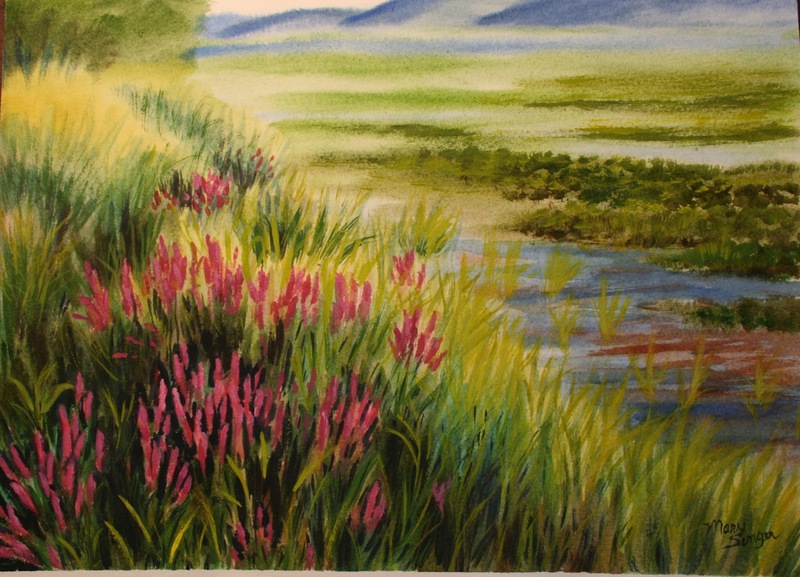 This is one of my new watercolors . It will be matted and framed to 18 x 24. 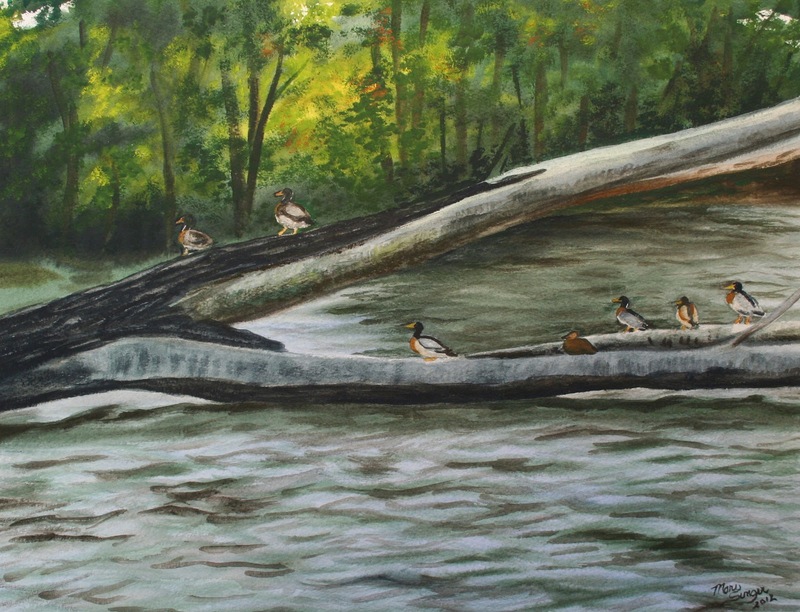 It is a view of Mallards sitting on a log in the Upper Mississippi river.